BASF are launching a new multipurpose fungicide for speciality crops – Perseus. Perseus contains two highly effective fungicides ; 75 g/litre of fluxapyroxad (Xemium) and 50 g/litre of difenconazole formulated as a suspension concentrate. Fluxapyroxad is a new SDHI fungicide with broad spectrum activity and difenconazole is a well-known triazole fungicide with excellent selectivity in speciality crops. Robert Storer of BASF explains that Perseus has activity on Powdery Mildew, Alternaria (Light and Dark Leaf Spot), Mycosphaerella (ringspot) and Sclerotinia, so most of the key diseases in vegetables, and has label recommendations for lettuce, potatoes, carrots, broccoli, cabbage, cauliflowers and Brussels sprouts. Potential EAMUs are leeks, spring onions, root and tuber vegetables, herbs, spinach and baby leaf crops. “This potentially long list of crops should lead growers to keep Perseus in the spray shed for every season,” says Rob. Harvest intervals are 3 days for potatoes, 7 days for carrots, peas and artichokes and 14 days for cabbages, spring onions and lettuce. 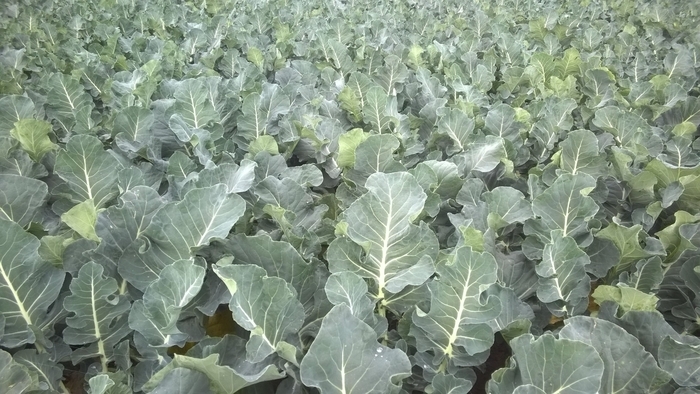 Growers can apply 3 applications of Perseus to the brassica crop, 1 to lettuce, 4 to potatoes and 2 to carrots. Its dose rates are 0.6 l/ha for powdery mildew control, 1 l/ha for Alternaria and Mycosphaerella and 2 l/ha for Sclerotinia. In terms of mobility, Perseus has excellent contact, translaminar activity plus apical activity and movement to protect new growth. It also shows good redistribution after rewetting and it has one hour’s rainfastness. In terms of activity it shows good persistent control compared to other competitor fungicides.